I’m pretty late to the party on this one, I only started following this epic race a few years ago. But I watch it on Eurosport and it’s amazing. Sebastien Loeb won the first stage in the cars, which is where my interest is focused. But the bikes, quads, and trucks are pretty amazing to watch. Massive credit to the guys on bikes and quads, exposed to the weather all the time and working hard (harder than those in enclosed vehicles), all the time. 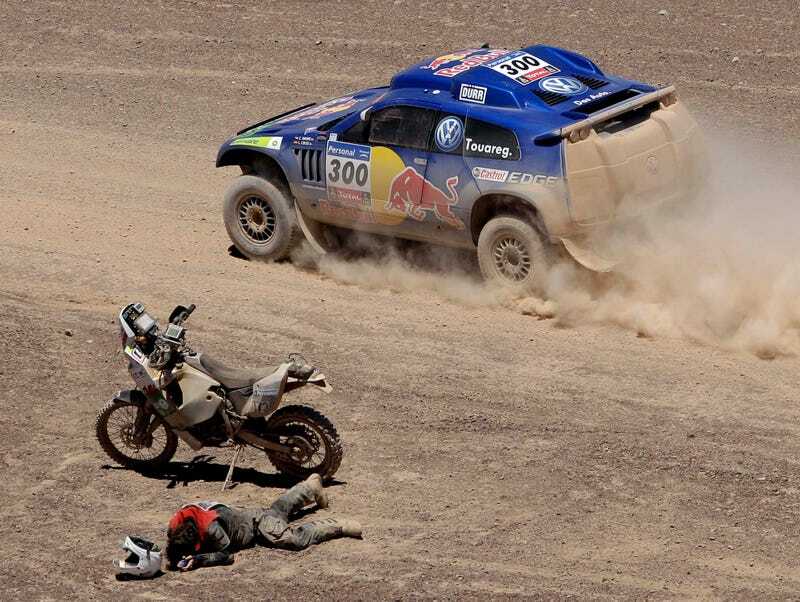 If you can find a way, get yourself some Dakar action while it’s happening.